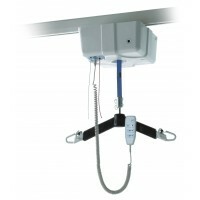 Here you can find our range of Oxford Ceiling Hoists. Track hoists are specifically designed for use with Fixed Track Systems. Oxford Elara Ceiling Lift - 2-WayThe Oxford Elara is the replacement to the now discontinued Oxford ..
Oxford Elara Ceiling Lift - 4-WayThe Oxford Elara is the replacement to the now discontinued Oxford ..
Oxford Voyager Portable HoistThe Oxford Voyager Portable Hoist can be combined with the Easytrack an..
Oxford Elara 284 Ceiling Lift - 2-WayThe Oxford Elara is the replacement to the now discontinued Oxf..
Oxford Elara 284 Ceiling Lift - 4-WayThe Oxford Elara is the replacement to the now discontinued Oxf..